Welcome to the ABQ Local 380 Website, we represent the Clerk, Maintenance and Motor Vehicle Crafts. This year's 2016 annual APWU Local 380 picnic was held at the Arthur Mendoza Union Hall on Sunday September 18th. As always there was good food,fellowship and good times to be had. Arbitration Award Announced! We Have a New Union Contract! Web News Article #: 140-2016 07/08/2016 - The big news is in – 200,000 postal workers represented by the APWU have a new union contract! On July 8th, Arbitrator Stephen Goldberg issued his arbitration award that sets the wages, hours and conditions of employment in our new union contract. This award concluded a two-year struggle for “Good Service, Good Jobs, Good Contract” that included contract negotiations, mediation, arbitration hearings – and solidarity actions on work floors and in communities around the country. We are extending the time period to become an APWU member! The following are some of the highlights of the new Maintenance craft contract. Welcome to the Albuquerque Local 380 webpage! This website is a continuation of the Local's committment to expand communication and representation to our members. If you are a non-member, join the Local! Members are encouraged to take the time to frequently visit and fully explore the Local's website. 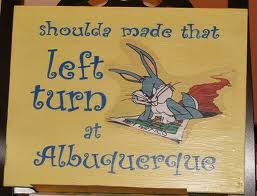 Changes to the Albuquerque Local 380 Meetings Starting January 2016 the Abq. Local 380 will implement a change to the current monthly scheduling. A change voted into the Local Constitution and By-Laws that eliminates the mid-day meetings. Meetings will be held at 10:00 AM and 7:00 PM on a rotating basis. APWU Web News Article 052-2013, April 26, 2013 The APWU is asking union members and supporters to sign an online petition urging the White House to Save the Postal Service and Save American Jobs by supporting the Postal Service Protection Act (H.R. 630 in the House / S. 316 in the Senate). The We the People petition, which was posted by Rep.
OSHA Affirms Whistleblower Protection For Employees Reporting Workplace Injuries Reporting work-related injuries and illnesses is “a core employee right,” the Occupational Safety and Health Administration (OSHA) has pointed out, “and retaliating against a worker for reporting an injury or illness is illegal discrimination. Logging in for the first time is easy and self explanitory. All members are required to fill out the registration form, then after completion the form will be reviewed for verification of membership. Once accepted each member will have their own username and password for full access to the website. Welcome to the new website! Local 380 has long been awaiting to bring to it's members their new site to be able to catch up what's going on locally and nationally. We are hoping to bring to you the latest topics and issues surrounding what's happening on the work room floor and also what problems are national officers are facing in D.C.